Pretty much the last thing I need to fix on my 2005 3.5L 300 Limited is the ESP/BAS light being on constantly. I've done a TON of digging into this and for all the info out there, there really doesn't actually seem to be much info beyond it being a steering angle sensor, or maybe dynamics sensor or maybe circuit open. Turning lock to lock doesn't correct it, and moving the column bezel forward doesn't do anything either. So is there anyway to confirm that it's the SAS without removing my entire steering wheel? Also what the hell does that T30 screw do under the steering column. What does that hold in place? Solved'er. I need a new clockspring. It looks like some idiot before me got in here and broke off a couple of pieces of plastic that they determined weren't important. 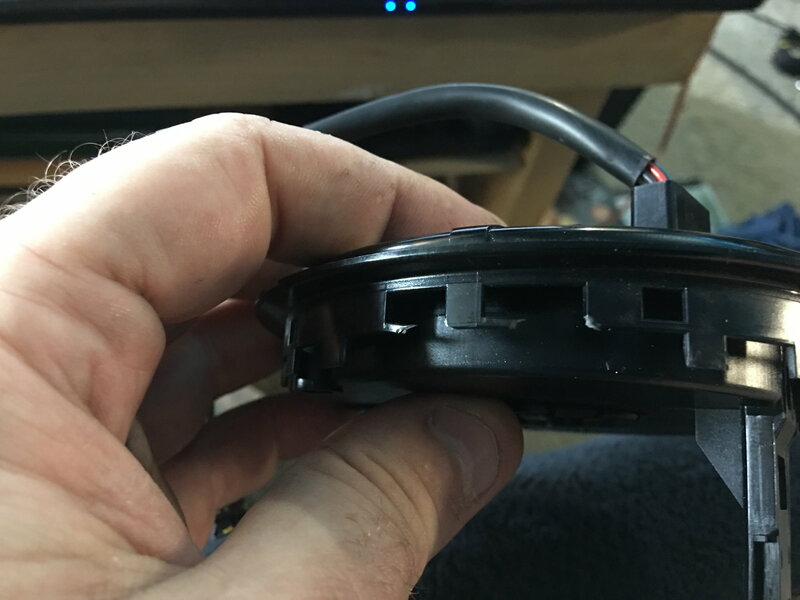 However as it turns out these pieces of plastic are index marks for the Steering Angle Sensor as it works like a light sensor looking for the breaks in these index marks to determine the position of the steering wheel.